– I was born in Florida and I was raised in FL, WI and TX. 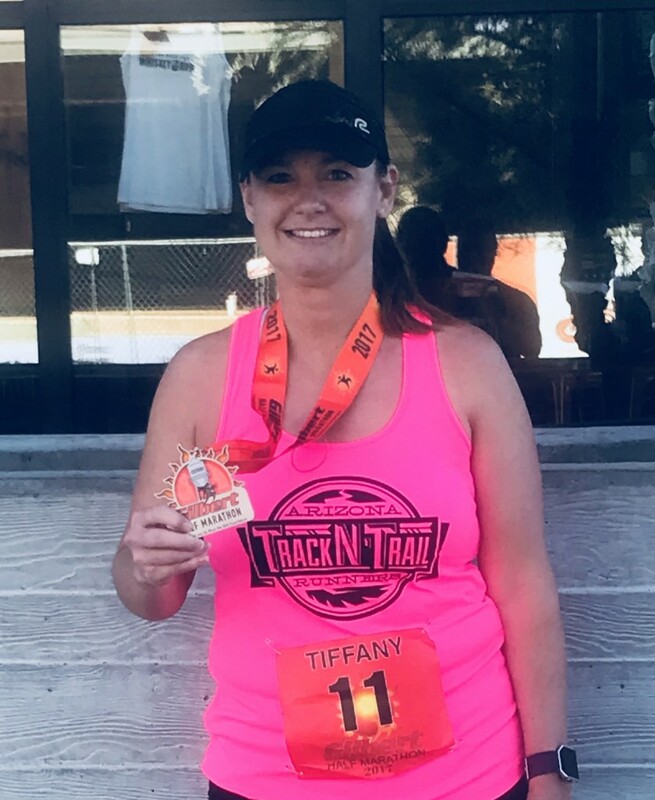 – I was on the track team in middle school for a season or two, I ran a race in 2012 but I would say I didn’t start running until I joined the AZ TnT group last year in early 2017. – 2012 I lost a bet with a friend and had to train and run a 1/2 marathon in Las Vegas. 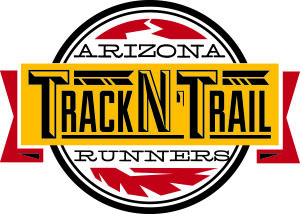 Last year someone from my gym recommended I check out AZ TnT to get back into running. I watched all the activity on Facebook for a month or two working up the courage to come out and join the group for a run. One of the best decisions I’ve made because Jim and Linda were so welcoming and I’ve met so many wonderful and inspiring people. Now I’m running regularly and there is always an event to look forward to. – Depends on the day or race… probably 3-5 miles but I love the feeling of completing a half marathon! Favorite race: 12k’s of Christmas; I run with a buddy of mine the last several years as Cindy Lou Who and he is the Grinch… I’m already signed up for this year which is their 10th Anniversary! – Pizza Night! Who doesn’t like pizza after a run and plank session? – Anywhere new; a new course or a new route at home or when traveling. – ‘Choose your attitude,’ someone I work with shared that one day and I’ve shared it with others and said it to remind myself many times since. – So many beautiful and interesting places but I’ll pick Italy because I love Italian food. Advice for new runners: Keep showing up and putting one foot in front of the other.